4) BEST CLEANLINESS 2009 award - given by other website. Welcome to Guangdong Guest House, we are located at Chungking Mansion in Tsim Sha Tsui, the prime location of business, shopping and entertainment district. Where you can enjoy Chinese or Western food at the restaurant, fast-food store. There are many 24 hrs shop, bars, and disco. 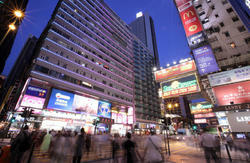 It is one of the most famous area in the world, where Guest Houses and restaurants gather. We provide comfortable accommodation at lower price, with clean, safe and hospitable service. We hope you enjoy your trip in Hong Kong. Contact person: Mr. Simon who is a friendly and honest person, he\'ll give you the best price. In 1994 he was a representative of Chungking Mansion welcoming Rt. Hon. Christopher Francis Patten. 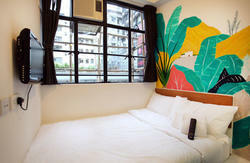 We have many kinds of rooms, it suits you whether you\'re a group, individual travelers, budget travelers. The rooms all complied by the government regulations on fire and building safety. We guarantee an absolutely silent and clean in every room. All the rooms have colour TV, internet access, air-conditioning, bed sheet, bath towel, bath liquid, 24 hours hot water for shower. We clean rooms daily, we guarantee all rooms are clean. Many thanks for your booking, when check in please bring your booking confirmation sheet, you need to pay all your room rental in advance. Before you collect your luggage inside restricted area of the HK Airport, there are free telephone that you can use to call us, we can then direct you the easiest way to our guest house. You can get the information from security post inside Chungking Mansion lobby. The security will help you to locate our guest house more easily. CAUTION : Prevention for your loss of money, please don\'t show your booking sheet to any stranger approaching you in front of Chungking Mansion. They ( even though they are Indian guy or Chinese) might claim to be our staff and mislead you to other hostel, trying to get money from you. Our Chinese manager Simon, he will wait for you in the hostel & check in with you. If you wish to re-schedule your booking, any arrival date or time changes or cancellation, please send e-mail to us before 48 hours of your arrival date. Phone call will not be acceptable. Otherwise the changes may not be available and 2 nights room rent and 10% handling charges will be charged. Check-in time : when you booking, please select your arrival time carefully before confirm, please add 1 hr for transportation and if you arrival at 6pm please select 18:00 not 6:00. Please understand that the hostels have to allocate late check-out, early check-in, walk-in customers everyday, the veracious \'arrival time\' help you and all guests to have the best arrangement. Thanks. We welcome comments and advices given by our guests. We will take them seriously and try to improve our services in order to make every guest in our hostel happy. It take about 10 mins walk, across the Victoria Harbour. (Kowloon/Central Side). When you walk into Chungking Mansion in the main entrance, go straight to Block B 5/F, B2. 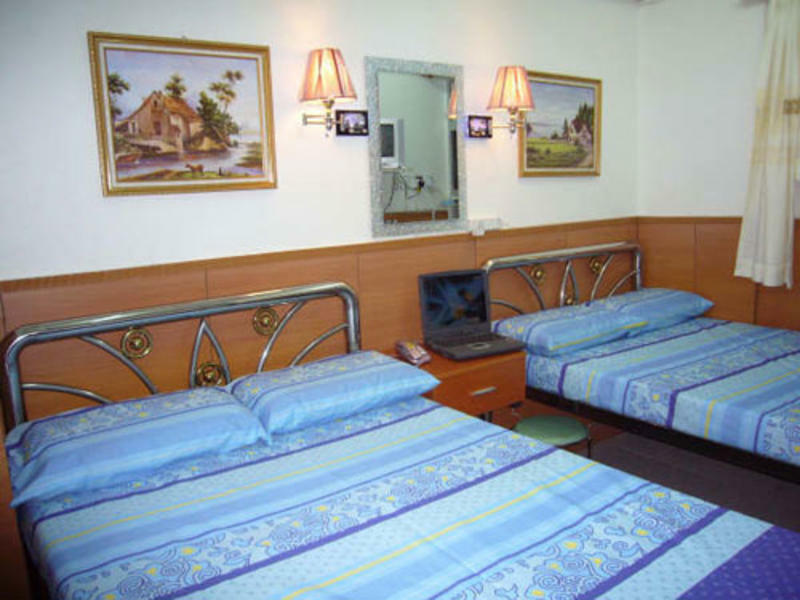 Guangdong guest house. You can also get the information from security station which is in the Chungking Mansion lobby, the security will help you to find our guest house more easily.